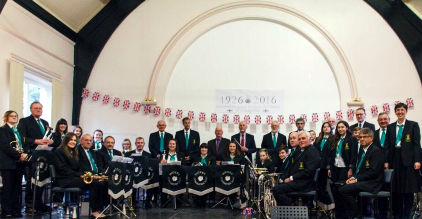 This celebration concert welcomes the Wicken Coronation Brass Band and Junior Band as they play a collection of Christmas carols, songs and tunes, perhaps your own particular favourite will be among them. Date: Saturday December 15th 2018 – 7.30pm. Venue: The Victoria Hall, Carter Street, Fordham, Ely, Cambridgeshire. CB7 5NG. Admission: Tickets £6 – To book please contact below. Proceeds Raised: Proceeds raised will go to funds for the Wicken Coronation Brass Band and The Muscular Dystrophy UK East Anglian Childrens Hospice.